Successfully Added Wi-Fi Video Door Phone + Doorbell - Night Vision, IOS + Android App, Remote Unlock, 5 Key Fobs, Mini Remote to your Shopping Cart. 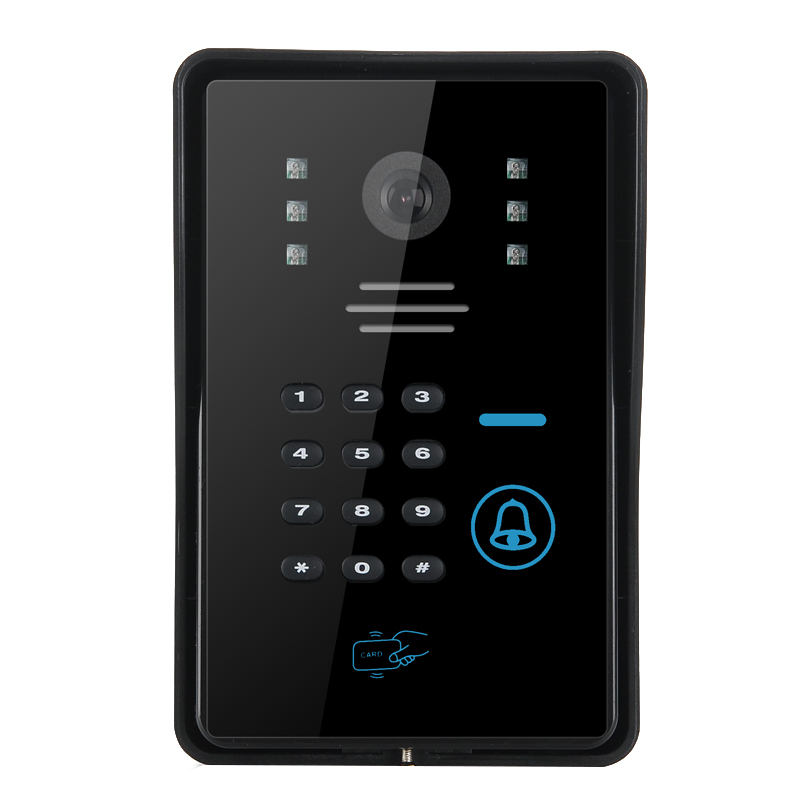 Perfect for an office or a big household, this Wi-Fi Video Intercom will give you complete access control to selected areas and will even let you see and manage visitors remotely. All you need to do is connect the intercom to any electronic lock you wish to control remotely, download an app and sync the video door phone with your IOS or Android device. To download the app, just scan the QR code on the back of the door phone. Its easy to setup and comes with everything you need to install it. You will then be notified when there’s anyone at the door, will see them on your phone’s screen, to talk to the through the intercom and can unlock the door with a suitable electronic lock - all this while not getting off your couch. Even if you have visitors after dark, you won’t have any trouble figuring out who’s at the door thanks to the video door phone’s night vision support. If you don’t feel like using your smartphone, the Wi-Fi intercom also comes with a mini-remote control. What makes this Wi-Fi intercom so helpful system is the multitude of access options that it offers. If you want to get into a building or room with the intercom in place, you can: - ring the doorbell and ask for the person in charge to buzz you in - enter a preset code on the keypad - use a key fob (the intercom comes with 5 individual key fobs) This makes the system perfect for use in a working area, or if you want to limit access to a certain room in the office or workplace. This Wi-Fi Video Door Phone comes with 12 months warranty. Brought to you by the leader in electronic devices as well as wholesale Wi-Fi video door phones, Chinavasion..